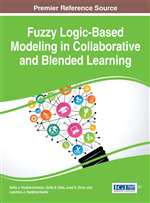 This chapter presents an instructional design (ID) that facilitates the use of fuzzy logic (FL) systems to model the collaborative and metacognitive data that are logged while a computer-mediated collaboration takes place. The materialization of this approach, namely collaboration/metacognition fuzzy inference system (C/M-FIS), along with experimental uses and extensions of it are described in detail. The quality of the collaboration (QoC) is defined on the basis of the balance of the collaborative activity within the dynamic of the pair. The ID of this online learning environment (OLE) materializes an adult learning cycle and foresees triggering of collaborative and metacognitive interaction. Experimental efforts, using the CSCL Lin2k tool, underline the potentiality of the presented approach to enhance the QoC. The latter is discussed under different ecological perspectives at the micro-, meso- and macro-level that further contribute to a broader perception of C/M-FIS model offerings on the basis of FL. As the Internet matures, it is increasingly apparent that it is not merely a vehicle for conveying vast information to the desktop, but it can also provide an effective platform for working with colleagues, irrespective of location. Its use for collaboration is currently the focus of considerable interest and development and many new tools appear (e.g., Skype, Google+ Hangout/Drive/Groups, MediaWiki, TextFlow, DimDim, MindMeister, Zoho, TeamViewer, DropBox, CMapTools), which make online collaborative projects a realistic option for distributed workgroups. While the multidisciplinary character of the Internet allows its use in many activities, such as holding meetings and ongoing discussions, the definition of peer-to-peer collaboration here is restricted to methods of peers collaborating rather than simply communicating. Under this perspective, the Internet-based collaboration environment needs to be powerful and easy to use with integrated supporting facilities that could contribute to successful peer-to-peer collaboration. The focus of the presented work is on the possibilities of modeling that can be integrated to these computer supported collaborative learning (CSCL) environments to further enhance collaborative learning. Artificial intelligence technologies play an important role in network collaboration, with the promise of advanced features, adaptive functionality and intuitive interfaces (Levy & Weld, 2000). They contribute to proper support to the users, by allowing adaptive modeling of their collaborative interactions, in order to successfully track their individual skills. The employed models can be used to provide support and feedback to the collaborators, regarding the efficiency of their collaboration, and to further motivate them towards the adoption of even more productive activities. Such modeling may be based on a priori knowledge-based models (AKMs), with knowledge provided by domain experts. Different approaches of knowledge representation within AKMs include the object-oriented, the procedural, and the rule-based programming paradigms (Gonzalez & Dankel, 1993; Hicks, 2000; Huntington, 2000). In particular, the AKMs have been used for the analysis of participation rates, by counting words or messages (Ogata et al., 2000), the conversation mapping onto a belief-based model (Tedesco & Self, 2000), the interrelation of structured external representations on a structural dimension (Muehlenbrock & Hoppe, 1999), the matching group interaction to patterns (Vizcaino et al., 2000), the integration of task and social aspects of interaction (Ayala & Yano, 1998), the effectively embedded educational assessment (Reese & Gobert, 2012), and for understanding the dialogue between group members (Barros &Verdejo, 1999; Hadjileontiadou et al., 2003). System modeling based on conventional mathematical formulation, such as differential equations, is not well suited for dealing with uncertain systems, such as human behavior. In contrast, AΚΜs that make use of a fuzzy inference system (FIS), utilizing fuzzy IF-THEN rules, combine numerical and linguistic data to model the qualitative aspects of human knowledge and reasoning processes, without employing precise quantitative analysis (Beck & Stern, 1999).